Try to be attentive enough and be the real cloud. Be sure that everything depends on you. Well, if you are ready for that. So, if you are ready for that, then just use the mouse to choose the cloud you wanna to turn into you and do it right now. You are welcome to the air! Yeah! In this game you are going to play with all these clouds. Just imagine that cloudy and cold with a chance of warfare! 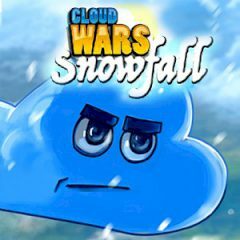 Just try to conquer and reclaim your throne as the Cloud King. It is so easy to play, just click or drag to select one or more clouds. And then click another cloud to send half your warriors for attack. You can also press space to select all clouds. Well, are you ready to see all these amazing things right here? Well, this is your chance to control all these clouds and set the best record.